Boil asparagus, then run under cold water to cool. 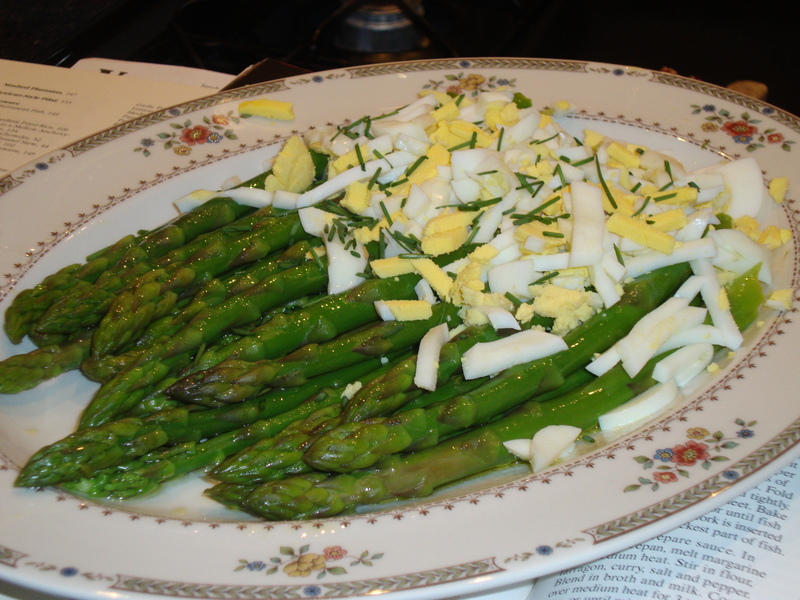 Drizzle with olive oil and fresh lemon juice; sprinkle with chopped hard-cooked eggs and chives. Sprinkle salt and pepper to taste.